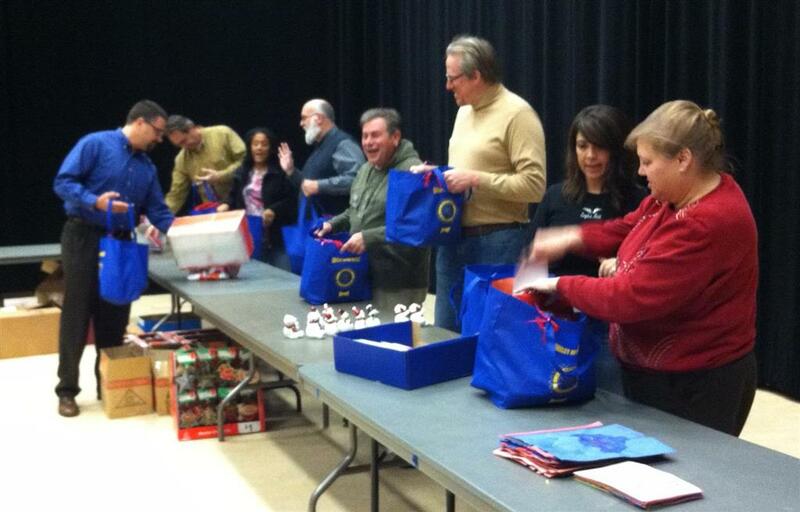 Club members come together on a night in December and assemble all gifts, then sort them to go to various agencies that help to distribute some of the bags. Club members personally deliver gifts to Greeley Eldergarden members and to some of the residents of Greeley Manor. Other gifts are distributed through Area Agency on Aging and Meals on Wheels. Over 150 seniors and at-risk adults received a little holiday cheer this year, as a result of the Annual After Hours Christmas "Basket" Project. Started even before the club chartered, each year Greeley After Hours Rotary collects a wide variety of useful items to produce a Christmas gift for lonely, needy or at-risk seniors in our community. The original basket has now been replaced by a reuseable shopping bag, but the thought is still the same. 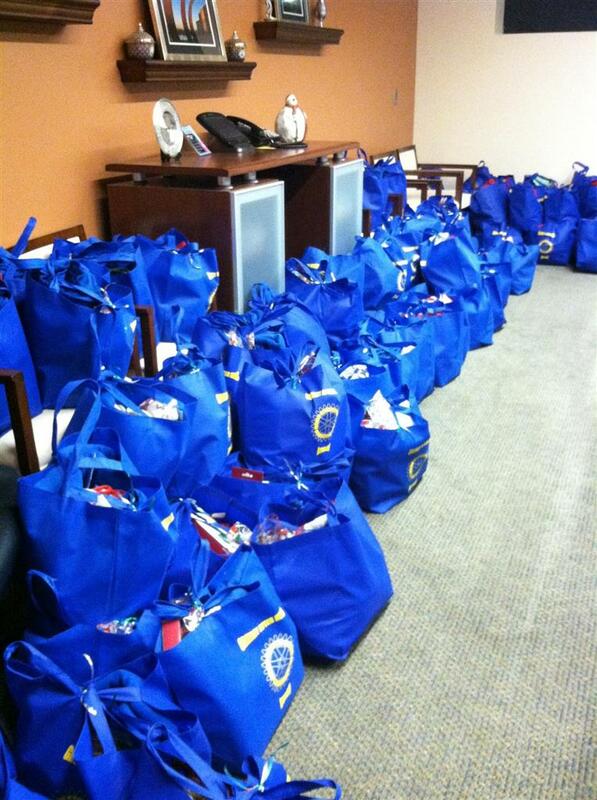 Recipients received gloves, scarves, blankets, candy, christmas ornaments and a variety of personal care items.